Which plugin gave “Uptown Funk” a tougher sound? How many drum mics were used on Amy Winehouse’s Back to Black? Find out in this exclusive interview with 5x Grammy-winning producer, musician & DJ Mark Ronson (Bruno Mars, Amy Winehouse, Adele). 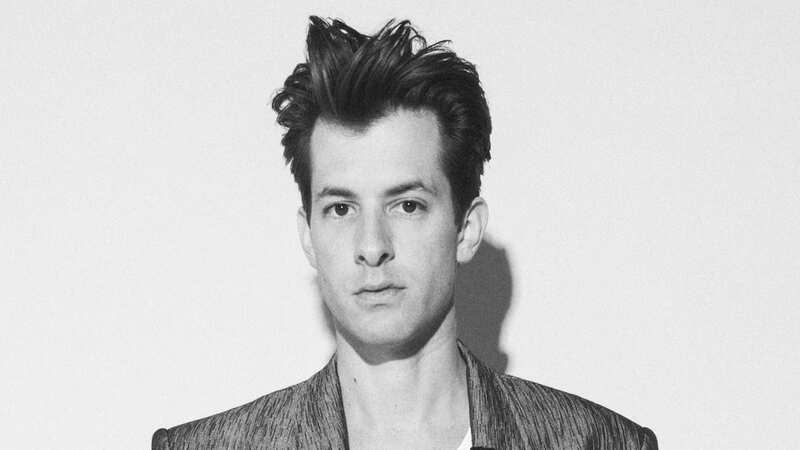 A living encyclopedia of music, Mark Ronson can tell you the liner notes and exactly who played what on any album in the last 50 years. But of course it took more than that to end up with diamond-selling albums like Amy Winehouse’s Back to Black or mega-hits like “Uptown Funk” with Bruno Mars. We caught up with Mark at L.A.’s Sound Factory shortly after he finished working on Villains, the latest album by Queens of the Stone Age. He talked to us about his influences, how DJing in New York during hip-hop’s golden age shaped his work as a producer, his favorite piece of studio gear, and much more. How has it been working with QOTSA? How do you manage to put your personal touch on artists from such different genres while still retaining their essence? On this record, [QOTSA’s] Josh [Homme] had a pretty clear vision going in. He wanted a very clear, tight, beat-centric sound. Plus, each member of the band is an amazing musician, so they’re coming in with a lot of information already. I’m pretty lucky that I get to go in with people where the level of talent is high. And obviously, there’s something about what they do that I already love and that’s why I’m in the room. A different situation is… sometimes I’ll be in the studio with an artist who’s a great lyricist, and they’re looking at me like: “What do you think the next line should be?” And I’m like: “Well, I don’t even want to suggest it because I don’t want to pervert or change the sensibility of your unique voice, of how you push words together that makes me like you.” I don’t want to turn them into me – a mediocre lyricist. So, there’s always that vibe a little bit. You could also be going in with an artist who’s just a singer and they’re relying on you to provide the entire musical bed so they can write a song over it. And then in other cases, it’s a little bit of both. Sometimes it’s just going in with no game plan at all and just seeing what happens. So I think the thing is, as a producer, you’re just trying to find the sweet spot where you can do the most good for everybody in the room without getting in the way too much of what you already love or think is talented about that person. Your albums have that retro-heavy texture, combined with the loud, punchy, in-your-face quality of a hip-hop or dance track. How do you achieve this vintage sound in the digital age? Are you tracking old school while using new school mixing techniques? You know, it’s a little more of an ethos: when we record an instrument, or an amp or a drum, we try to use mic placement and tone control in order to get a sound and commit to that sound. We’re not like: “Okay, we can fix it later”. When I was working with the Dap-Kings, or doing Back to Black with Amy Winehouse, or recording “Valerie,” we only had one mic on the drums. It’s not like something you can fix later or you can change the balance, or bring the hi-hat up. You’d better make sure that either he’s playing the hi-hat at the right volume, or the mic needs to be closer to the hi-hat, and that’s what’s going to happen. There’s a certain level of intention that happens when you’re doing that. It makes everybody realize that the performance and everything about it need to be that much more exact because you’re not going to be able to fix it later or adjust it. Musicians playing actual real instruments can still bring people to the dance floor. Which mixing gear helps you achieve that result? In terms of plugins, Waves have been part of my workflow since I ran my first session in Pro Tools back in 2000 with Nikka Costa. The Waves stuff was our bread and butter on those, especially the Renaissance series. The Renaissance EQ and Renaissance Vox plugins are things I learned on; I know them so well, they’re engraved in me like muscle memory. They’re great, they don’t take up a load of my CPU and I can use them quickly and move along with what I’m doing. 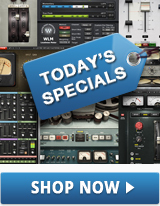 The one plugin I use the most is probably the CLA-3A compressor. That was something I picked up from [producer] Jeff Bhasker when we were working on “Uptown Funk.” You throw it on a vocal or a bass track, and it makes everything a little tougher and also makes the mix just a little more centered. The API plugins are also great for getting an analog sensibility. When I don’t have the time to get too deep, I can just go into the presets and tweak them from there very quickly. Obviously the L2 Ultramaximizer is something I use all the time. And then there’s hardware that I actually have in my studio, like the dbx 160 compressors, but I only have two of those, so once I run out of analog channels I use the Waves dbx 160 in the box. I also use H-Delay a lot, especially for vocals. I also really like Manny’s stuff, the Manny Marroquin Signature Series. Something interesting Manny always does as an engineer is he brings a slightly more eccentric, slightly psychedelic, outsider-thing to hip-hop and R&B, especially on the Kanye records. And I feel like that really comes through on his plugins. It’s nice when you can bring out the plugin and recognize the character of the dude in it, you know what I mean? And what are your go-to pieces of vintage analog gear in the studio? My favorite for recording, especially for drums, is the Pultec EQs. They can just do something with the attenuation and the boosting. You can get a little aggressive with them, and they give me this wonderful warmth. That’s the main thing. Everything else I’m pretty flexible with. I’m not one of those people that have to work on a certain desk or whatever. The songs you produce sort of take us on an audio history of modern recorded music, combining so many different textures and vibes from different eras. How do you manage to do that? I guess I just grew up as music obsessive. I love music, I collect 45s, I’ve been reading all the liner notes since I was like 6-7 years old. I liked to read old Billboard magazines for some reason. This is what I’m all about, so I kind of want to know everything about it on all sides of the industry. I was always a fan of multiple genres. Growing up in 80s in England with bands like Duran Duran and Culture Club, and then moving to New York, and then falling in love with hip-hop, but also loving Guns N’ Roses, then getting into the Stone Roses and Happy Mondays and all these English bands when I go back there, and then discovering funk and soul and breaks through my love of hip-hop because I always had to know what that sample was from. Like when Busta Rhymes’ “Put Your Hands Where My Eyes Can See” came out, I had to go to the record store immediately and find the original sample by Seals and Crofts so I could mix it in at the club. I think all of that manages to make its way into what I do. When I go into the studio and make songs, it just seeps in. I’m not necessarily thinking about these things in my head. You know, when I was going to college there was no modern-day music history course, only classical music teaching: everyone who wanted to be a classical musician studied the great classical composers, Mozart, Beethoven, Bach. I wanted to be a scholar, too. So for our generation, that means studying Stevie Wonder, Steely Dan, A Tribe Called Quest, and all those greats. There’s definitely distinct things that have been a massive influence on me like the guitar playing of Nile Rogers or Fela Kuti’s band, the rhythms of James Brown’s drummers, the Motown rhythm section with James Jamerson’s bass – I mean, I can’t play anywhere near as good, but that influence is always in there a little bit. Then there’s the production of Public Enemy, The Bomb Squad, and early Rick Rubin. Organized Noise or OutKast are also a massive influence. I guess it’s just all of it because I’m always working on different kinds of stuff. How did DJing influence your career as a music producer? DJing is how I came up. You sort of hit your stride in these small, sweaty clubs. You can see everyone’s reaction in the room. I loved it because it had this intimacy. What’s similar in the studio is that I’m sort of competitive. Working on a song, I want to have that banger, you know? Working on an album, I really want to get that classic, artistic feel that we used to get. And that’s something some records suffer from a little bit today, because you’ve got an artist working with ten different producers and everybody wants to have the single. Classic albums aren’t just a collection of ten bangers. They need an arc, and a shift in mood. when I listen to an album, I don’t want to be punched in the face for ten songs in a row. I want to go on a bit of a journey. And hopefully that’s what I do.